Already a member of Club Passport? Linking up your Club Passport and My WinStar accounts is a quick way to look at your rewards, tier status and more at the World's Biggest Casino. Join the winning-est club around. Earning rewards, special offers and more at the World's Biggest Casino is only possible if you join Club Passport at WinStar World Casino and Resort. Visit WinStar to get your card and link it on the site. Remain with the best of the best. Level up your earning potential. If you have already created a My WinStar login, enter your username and password below. Don't have a My WinStar account? We can fix that. Click "Create Account" button to enjoy the World's Biggest Casino your way. Home › Blog › A Look Back at 2016! A Look Back at 2016! Cheers to another fantastic year! Whether you were a first-time guest this year or you’re a loyal, returning patron, we are thankful for you! You are the reason for our success year after year. 2016 has been an incredible and busy year at WinStar. We accomplished so much in 2016 and want to take a look back and countdown our top 10 highlights before we kick off 2017 in style! We’re constantly looking for ways to make your WinStar experience even more memorable. 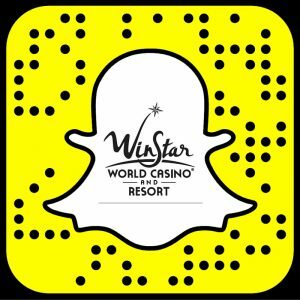 This year, we launched Snapchat for WinStar and have loved snapchatting at concerts and events since it launched. If you haven’t already followed us (@winstarworld), get to it and always have the inside scoop! If you attended an event at the Global Event Center this year, you’ve probably noticed our new Tagboard. (Honestly, it’s hard to miss!) Your witty tweets lit up the Global Event Center before each show. If you haven’t read our favorite Tagboard tweets of the year, you’ve got to read them. They’re hilarious. One of the best moments of the year was our employee blood drive. Seeing our employees partner with the Oklahoma Blood Institute and giving back to those in need was inspiring. Our blood drive this year was the most successful we’ve ever held; It was also the biggest blood drive in Oklahoma in 2016. 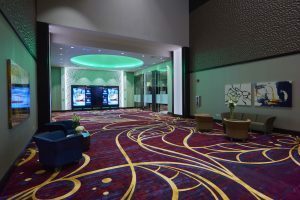 We also opened the doors of the WinStar Convention Center! It’s beautiful, and it’s the perfect place to host conferences, trade shows, corporate events and conventions. Driving through Dallas got a little more sparkly this year. Our blingy billboard went up in July and has been glittering in Dallas ever since. This summer we celebrated 13 years of business! We’ve come a long way from the heavy-duty tent that housed bingo and a small selection of electronic games in 2003. Curious about our history? Read more about how we have evolved and changed. In March we rolled out a new favorite way to win, Mega Frenzy Bingo. It has been a huge hit. Plus, the jackpots happen daily, so people don’t seem to mind that either! This year, it was also an honor to win the Best Casino, Best Lodging, Best Live Performance Venue and Best Golf Course categories in the annual Best of Chickasaw Country awards. We were thrilled to be recognized in each of these categories, and it is all because of our incredible patrons (you!) and our fantastic employees. In 2016 we loved giving away $1,487,500 in cash, bonus play and prizes in our three World’s Game Show competitions. Each installment of the World’s Game Show brought new themes (Carnival of Cash, WinStar and the Bedre Chocolate Factory and Count Your Winnings) and new winners! Watching you win cars, vacations and cash were some of the best memories of the year. Last, but certainly not least, is this year’s total payout of more than $500,000,000. That’s right, more than $500 million and the number keeps growing! We’ve had an amazing year full of fun promotions and great new games, but none of it would be possible without our amazing, loyal patrons. We’re looking forward to spending another great year with you in 2017! We’d love to hear your favorite WinStar 2016 moments! Share with us on Facebook, Twitter or Instagram (@WinStar_World). Thanks for being a part of this fantastic year! We’ve loved every minute of it, and we can’t wait for the good times to keep on rolling in 2017! Take a minute to orient yourself with our interactive casino map, so you can make the most of your experience at the World's Biggest Casino. As a My WinStar member, you can customize your promotion feed so you never miss a beat on whatever matters most to you. Sign up today – it’s fast, easy and free! Any meeting or group event held at the World’s Biggest Casino is bound to be unforgettable. Contact our professional team today to get started planning your next event today. 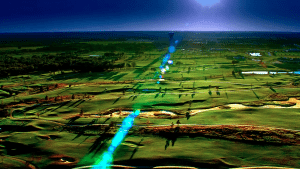 A career at WinStar World Casino and Resort is virtually limitless. We’re nearly always hiring, so check out what positions we have available.